When I was a kid, my favorite cookie was not the chocolate chip cookie. Hey, I liked chocolate chip cookies—and I still do—but the cookie I loved was not available in any store. 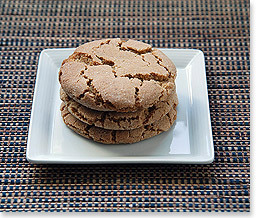 The cookies I liked the most were the homemade spice cookies that my mom and I used to make in the mid 1970s. 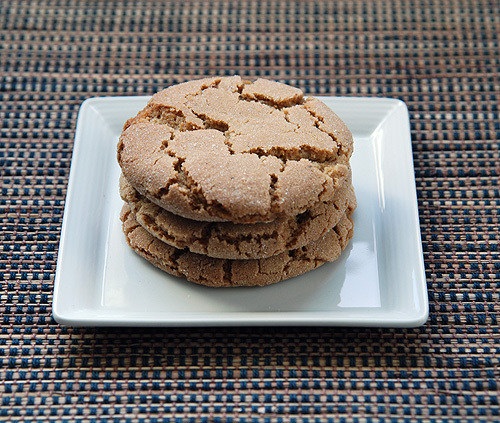 Dominated by clove, cinnamon and nutmeg, this cookie was unlike any other that emerged from lunch boxes in grade school. After my mom and I would make the cookies she would put them away in a ceramic cookie jar. I remember that it was very difficult to remove the lid of the cookie jar without being heard, but I managed to succeed on a few occasions. I would go on to make these cookies by myself and even had a note in the recipe about decreased batch size when my mom or sister was around. I made these for a class event in junior high, but I forgot one egg and they came out dry. I had since forgotten about them until just a few years ago when I called my mom up for the recipe. I was excited to make them again—I knew that the smell would bring back memories. 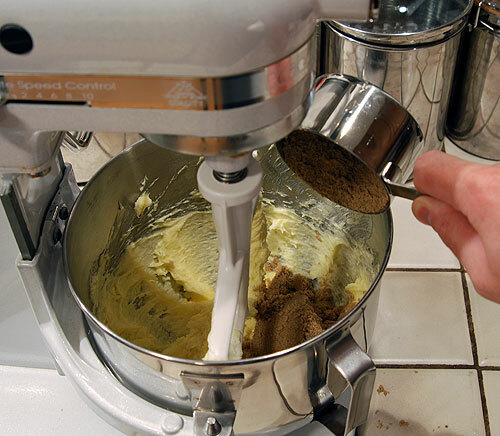 Sure enough, as soon as I was mixing in the spices and flour into the butter, eggs, and sugar, it all came back. Soft in the middle, with just a little crunch on the edges, these cookies are unique and delicious. Ingredients for making Spice Cookies. Cream butter eggs and sugars together until light and fluffy. 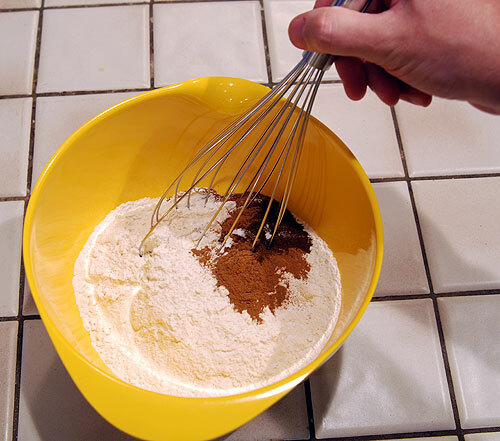 Mix, baking soda, baking powder, ginger, clove and cinnamon together with flour. 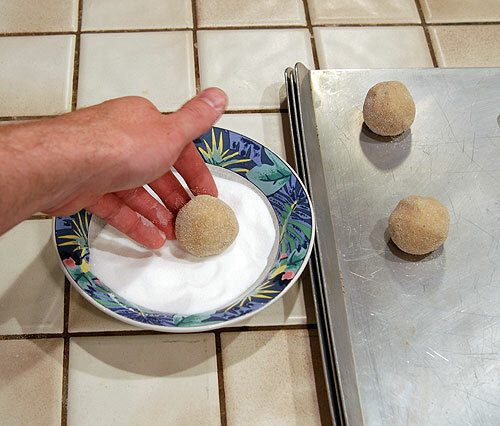 After gradually mixing dry ingredients into creamed butter, eggs and sugar, roll dough into balls with hands and gently roll in sugar. 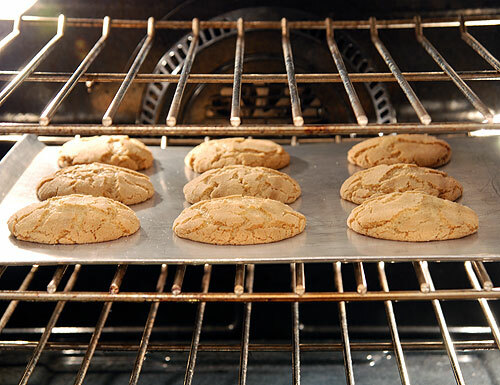 Bake in 375° F. oven for 10 – 12 minutes on ungreased cookie sheets. Promptly remove from cookies sheets onto cooling rack. 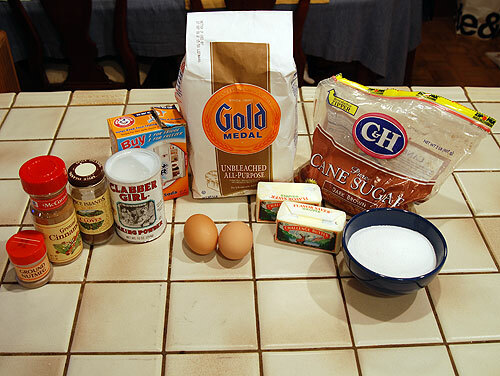 The recipe pictured above, with detailed instructions and complete photo gallery can be found on the Spice Cookies recipe page. This entry was posted on Tuesday, August 21st, 2007 at 10:37 pm	and is filed under Cookies. You can follow any responses to this entry through the RSS 2.0 feed. You can leave a response, or trackback from your own site. Brian, I’m gonna bookmark this recipe now! I love popping in and seeing whats up. I love baking so this is a great way to get new ideas. This weekend I tried for the first time since 4th grade to make cookies. 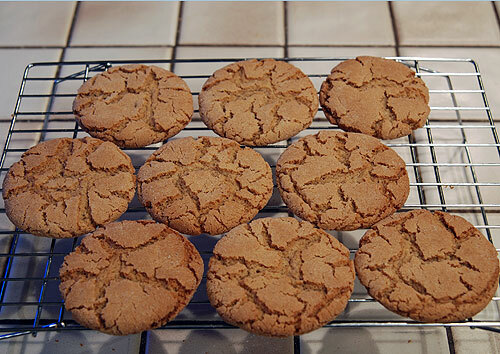 I want to thank you for the SPICE COOKIES recipe. They were a big Hit! And for the first time in my life, my cookies turned out PERFECT! You didn’t want to play baseball with them, that’s how my cookies usually turn out. So THANK you for such a great recipe and all the wonderful “how to” pictures. See you next time. Patricia: If you bake them, I’d love to know what you thought of them. For me there is a lot of nostalgia in this cookie, but I definitely still think they are great. Heather: Thanks so much for the wonderful feedback and congratulations on a succesful return to baking! I’m glad you like the how to picturesâ€”they definitely make producing a recipe page and blog entry on my site A LOT of work. If they helped you, then that is reward enough for me.